WhatsApp is a popular messaging app nowadays. WhatsApp team posted on their blog about users activity, they said that about half billion users around the world are regular users now. 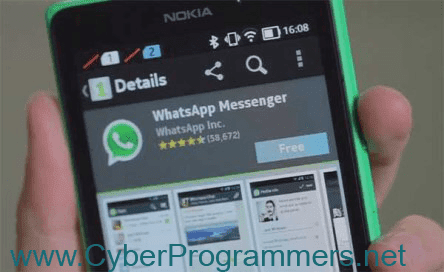 And today I decided to show how to install WhatsApp on your Nokia X/X+ phone easily. The first and fast method is that you can Download WhatsApp directly from Ovi store Download from here. Also, you can try an alternative method. From the Nokia Store search for "1MobileMarket" app and install it on your device. Open that app and tap on the search box and search and install WhatsApp. And make sure you have turned on "installation from unknown sources" feature from phone settings. Now you can open WhatsApp, and register your phone number.